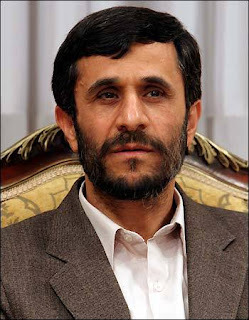 Iranian President Mahmoud Ahmadinejad has said that United States is After Nuclear Weapons of Pakistan and wants to destroy its Nuclear technology. Iranian President done a press conference earlier this week in which he talked about different world issues but his most important statement was about Pakistan's Nuclear arms. Ahmadinejad claimed that Iran has accurate information and proofs that America wants to destroy Pakistan's Nuclear weapons and is creating trouble inside Pakistan. He said US is working to weaken the Pakistani Nation. Many Pakistani Analysts has already said it many times that America intentions are not good towards Nuclear arms of Pakistan and now its also confirmed by President of Iran.